There is nothing like homemade Granola. I love this recipe because it packs in a lot of good healthy ingredients and is low in sugar and oil – two ingredients many recipes use in excess but not needed. The secret is applesauce. The natural sweetness of the apples provides the sweet taste many of us crave. See the recipe below and you can view it on BigOven.com. 2. In a small saucepan, warm brown sugar, the applesauce, honey, vanilla extract, salt, cinnamon and oil over low heat. 3. In a large mixing bowl, combine the remaining ingredients except dried cranberries. 4. Add the applesauce mixture to the oat mixture, stirring until everything is evenly coated. 5. Spread the mixture onto two baking sheets. Bake for 30 minutes, stirring every 10 minutes, until the granola is a golden brown color. 6. Allow to cool completely and add the dried cranberries. Store in an airtight container. Make this recipe your own. Beyond the oats you can add the ingredients you desire or have on hand. I often use pine nuts, walnuts and sometimes substitute raisins for the cranberries. My favorite way to eat granola is with my morning yogurt and blueberries. What ways do you use granola? This recipe has been a long-time family favorite. It’s a twist on traditional cole slaw. The ramen provides some extra crunch – and the dressing a bit of tang. This a great side for a picnic or potluck! In a large bowl, toss together broccoli slaw, green onion, ramen noodles, and sunflower hearts. In a small bowl, mix dressing ingredients together. Pour over salad and toss. Chill in refrigerator one hour or more. If you give this recipe a try, we’d love to hear from you! Do you have a go-to family favorite for picnics and potlucks? Every week I make a menu in which detail what I am planning to serve for supper each night of the week. I started doing this last year as a part of my household binder. I enjoy doing it and it makes my life so much easier. I don’t have to come up with something to make on the fly after a long day’s work. I know what to buy at the grocery store. I only have to travel to the store once a week. I save money on groceries – only buying what we need. Solution: We quickly brainstormed a list of meals that we love! Now if I don’t know what to add to the menu, I can glance at our favorites list and pick something from there. Or if I have a particular ingredient, but don’t know what to make I can try to find a suitable match off that list. How do you menu plan? Do you have any family favorite recipes that we need to try? Mexican food is an ethnic favorite at our house. I must say that I prefer dining out and if the restaurant is authentic Mexican all the better. However over the years we have learned to make our own Mexican food and these Chicken Enchiladas are often on the menu. I don’t recall where I found the original recipe but you can view the recipe below and I have posted it on BigOven.com. Spanish rice is always a good side for enchiladas. I found an easy, no fuss recipe on BigOven. 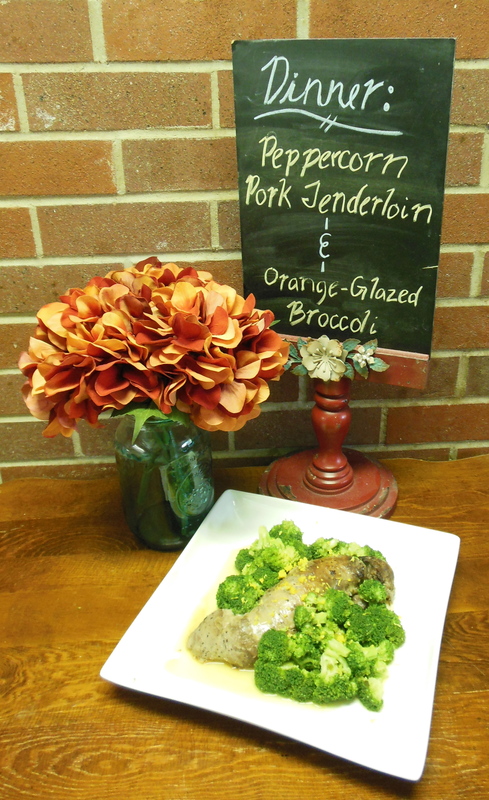 One reviewer said, “This was delicious! One of the very. best rice dishes I’ve ever had and so easy to make. This is a keeper!” I would have to agree – it is a keeper. You can view the recipe on the BigOven website. 1. In a medium bowl, mix chicken, green onions, 1 cup colby, jack cheese, sour cream, chilies and cilantro. Stir in 1/2 cup enchilada sauce. Season with salt & pepper. Set aside. 2. Preheat oven 350 degrees. Prepare 9″ x 13″ baking dish by spraying with canola non-stick spray. Spread small amount of sauce in bottom of dish. Warm tortillas in microwave oven by wrapping in paper towels. Spread 2 heaping tablespoons of chicken mixture in each tortilla & roll up. Place seam side down, side by side in prepared dish. Pour remaining sauce over, top with remaining cheeses & bake until bubbling. 15-20 min. 3. Garnish with extra sour cream, sliced green onions & chopped cilantro. Note: Green enchilada sauce was used but you can use red enchilada sauce. Comment below and tell me what is your favorite ethnic food? What in the world is Choucroute? According to Merriam-Webster.com it is a French, modification of German Sauerkraut – it is sauerkraut cooked and served with meat. Our family likes both – Score! I came across this recipe trying to find something to make out of the pork chops I had bought in bulk (package of 10). It was time to change-up the regular – grill & serve. The recipe is below. It is very yummy but don’t take my word for it. You will have to try it and let me know what you think. 2. Add onion and sausage to skillet and cook 5 minutes; add beer and scrape up any browned bits from pan. Stir in coleslaw mix, vinegar, brown sugar, caraway seeds and 1/2 teaspoon salt. Cook 7 minutes, stirring occasionally. ENJOY – comment below and tell me what you think! Dessert has always been a staple in my life. Growing up we always had dessert for dinner and supper. Yes I said dinner for the 12:00 noon meal – a whole other topic that I will not discuss today. Typically we had cake, pie and/or ice cream after the meal. My favorite was ice cream. It wasn’t unusual for me to have it every day during the summer either after a meal or for a snack. With July 4th approaching this week I wanted to share an ice cream tradition in our family. 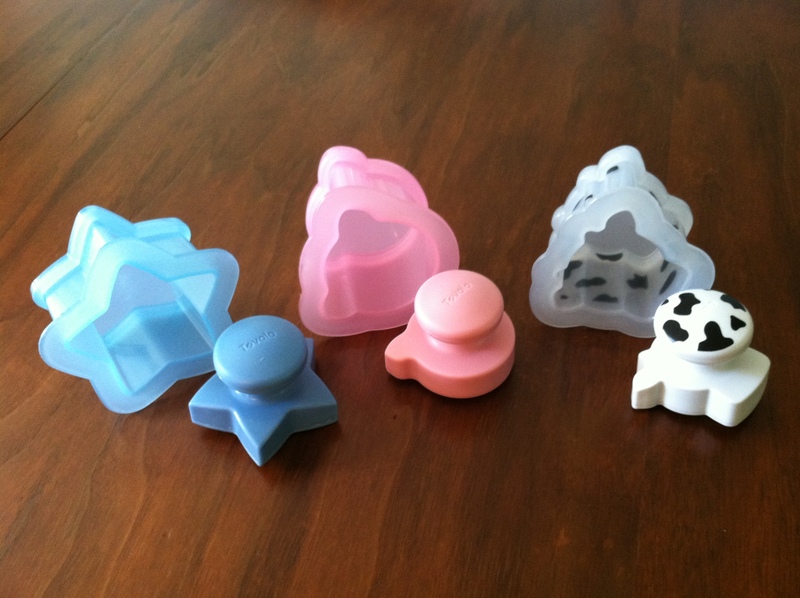 Several years ago I came across these cute ice cream sandwich molds (star, pig, cow) while perusing a kitchen store. Since one of them is a star we began using it to make our celebratory dessert for the 4th of July. Kids love them! The following recipe was included in the package. It works great and is yummy. Preheat oven to 375 degrees. Line an 11” x 17” jelly roll pan with parchment paper. Over a sheet of waxed paper, sift together the flour and cocoa powder. Set aside. In a double boiler combine the butter and chocolate. Heat, stirring often, until melted, about 4 minutes. Remove the pan from the heat and stir in the sugar and salt. Add the eggs and vanilla and stir until well blended. Sprinkle the flour mixture over the chocolate mixture and stir just until blended. Pour the batter into the prepared pan and spread evenly. Bake until a toothpick inserted into the center of the brownie comes out clean, 8-10 minutes. Transfer the pan to a wire rack and let cool for at least 1 hour. The recipe then tells you to use the molds to cut out the shapes and assemble the ice cream sandwiches according to the package instructions. If you do not have molds you can still make the more traditional sandwich by cutting the brownie in half, top one half with softened ice cream, then top with second half of brownie. Put into freezer to firm sandwich. When firm put not frozen hard, remove from the freezer and cut into desired squares or logs. Keep in a container in the freezer until ready to eat. ENJOY! What is your traditional food for 4th of July?